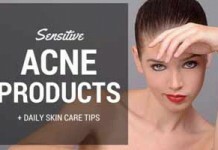 When you suffer with acne, then you know that challenge of finding effective products to prevent and deal with pimples. This most often means multiple products with different types of active ingredients. 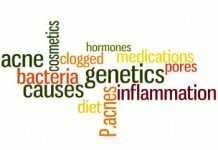 But there are some natural products available that have proven to be extremely effective as an overall treatment. One such option is tea tree oil and you’ll be amazed at what it can do for you. On the one hand, it’s cleansing and anti-bacterial properties will help to significantly reduce the risk of a breakout. Making it part of your daily routine will make a huge difference. But as well as that, it’s an excellent way to get rid of pimples by spot treating them with the oil. 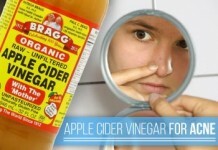 This will reduce inflammation and within a few days you’ll see the blackheads simply disappear. However, before you just blindly go out and buy some tea tree oil, there are some tips that you should follow. On this page we will not only tell you exactly how to adapt your cleansing routine. 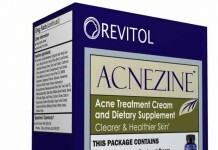 But also some of the best acne treatments that contain this exceptionally great natural ingredient. Does Tea Tree Oil Really Help Acne? 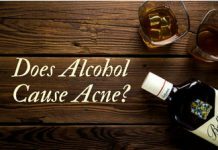 What studies tell us about effectiveness of tea tree oil for acne. When tea tree oil is most effective for acne. 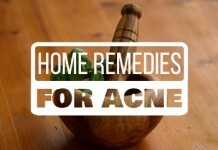 15 hand-picked, highly effective recipes to use tea tree oil for eliminating acne. Top 3 tea tree oil acne products you can trust. Without a doubt, tea tree oil is one of the best natural acne treatments you can ever get. For decades, it has been successfully used in skin care as a prominent anti-microbial agent. The soldiers and sailors of the World War II used it in the treatment of tropical infections. It possesses strong anti-fungal, anti-inflammatory and anti-septic properties that make it a perfect choice to help clear unwanted bacteria, fade dark spots, and reduce redness and inflammation on your skin. This essential oil is the extracted from the leaves of the Melaleuca Alternifolia – a plant that vastly grows on the northeast coast of New South Wales, Australia. It’s been exploited by Aussies for almost a century for caring their skin. But now, it is easily available worldwidev in both neat oil form or as an active ingredient in a variety of products. Take aside the story I’ve told you today. Haven’t you already heard some similar stories about wonders of tea tree oil on acne from your friends, colleagues, or anyone? They may not be as dramatic as the one I’ve shared, but they would certainly there. And perhaps this is why you’re here. You want to know whether or not tea tree oil is the real deal for treating your acne. In the same concentration of 5%, tea tree oil was just as effective in reducing inflamed and non-inflamed acne lesions as benzoyl peroxide. What’s more noteworthy is that tea tree oil produced much less side-effects than BP. 2. Similar results were obtained in a study conducted by Flinders Medical Centre published on British Journal of Dermatology in 2002. Now, if you were given a tube of benzoyl peroxide and a bottle full of tea tree oil, which one would you choose to treat your acne? I guessed your choice. 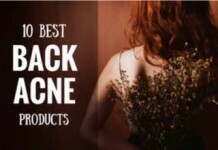 It is actually best for mild acne treatment. Something like slight flare ups, shedding blackheads or whiteheads, or drying out occasional pimples. It’s certainly not a good choice for severe acne treatment. It can even end up hardening your lumps if you’re suffering from cystic acne. Being a strong natural anti-bacterial agent, it can effectively help eliminating acne causing bacteria. And this is just it. It won’t be able to handle all what’s being done deep inside your body. 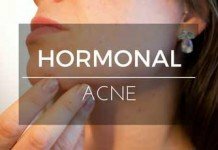 Internal imbalance that is the breeding ground of what you see on your face in the form of acne. This infographic on tea tree oil’s benefits and safety tips for skin will give you a quick taste of this whole discussion. There are dozens of ways of doing this, but not all of them are worth trying out. 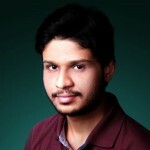 I’ve spend a considerable time in compiling only the best and most effective ways to use tea tree oil for acne. Now, I can’t tell which one of these will work out for you. You and I do not share the same kind of skin. 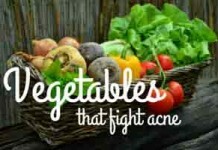 And there’s no acne treatment on earth that suits the skin of every acne sufferer. You’ll need to pick any one of these methods, or go through most of them (if not all) and figure out which one works best for you. It’s time consuming, tedious, and daunting. But you have to do it. And don’t get nervous. If you follow these methods step by step just as I’ve written, and take into account all the safety measures I’ve provided at the end of this post, the odds of your efforts going in vein will be quite low. Take a cup half filled with water. Add 3-5 drops of 100% organic tea tree oil in it and mix well. Soak a cotton swab in the mixture you’ve just made. Gently dab it on your pimples and slightly over its surrounding areas. Leave your face for at least half an hour. If possible, leave overnight for more effective results. You’re likely to see a reduction in your redness and inflammation after doing this treatment. Repeat this method again if you want to fade more pimples. Make sure to use 100% tea tree oil and not a product ‘containing’ it. Making both of these things at home is a breeze. For tea tree oil wash, you just need an unscented face or body wash and mix up to 5% of tea tree oil in it. To make tea tree oil gel, you’ll need pure aloe vera. We’ll use aloe vera gel as a base and add up to 5% tea tree oil in it. Use this wash or gel at least once or twice daily to see steady results. In some cases, sensitivity towards tea tree oil can increase upon continuous usage. If that happens, stop using it right away to prevent any damage. A lovely paste made up of tea tree oil and honey can be very effective in fading acne spots. Honey, on its own, is a great anti-bacterial and anti-septic agent that can effectively inhibit the growth of certain bacterium residing on your skin, including P. acnes. Take a few table spoons of raw honey (processed honey will never be as effective). Add a couple drops of pure tea tree oil in it, and mix gently. Thoroughly wash your face and pat it dry. Now, apply this paste on your affected areas and leave for a while before rinsing off. This is an excellent combination. Yogurt isn’t just for eating. This nutrient rich food contains zinc and lactic acid that help rejuvenate the skin. A gentle massage of plain yogurt on your skin can help shedding dead skin cells, tighten up pores, fade fine lines, and brighten up your skin. Take one quarter of a cup filled with plain yogurt (unflavored). Add 5 drops of 100% organic tea tree oil in it. Mix it well to make a smooth paste. Now, gently wash your face to remove dirt, and then pat dry. Apply this paste only on your affected areas, and don’t spread it all over your face. Let it set for 20 minutes and then rinse it off with lukewarm water. Repeat this method regularly to observe measurable changes. Add 1, 1 tablespoon of raw honey and plain yogurt in it. Also add 2-3 drops of tea tree oil. Blend this mixture vigorously to make a smooth paste. Now, apply this paste evenly on your face and allow it to set for at least 20 minutes. Rinse it off your face and pat dry. If this paste dries out your face excessively, you can apply a good moisturizer or lotion for acne after using it. French green clay is a bio-mineral. It is popular in beauty treatments and is commonly valued for its highly absorbent properties. Alternative medicine experts claim it to be one of the most effective therapeutic treatments because of its unique composition with decomposed plant material and trace minerals such as silica, magnesium, copper, phosphorous, calcium, zinc, and aluminum. Take two tablespoons of French green clay powder and add 3 drops of tea tree oil in it. Now add water, enough to make a delicate smooth paste. Mix it well. Apply this paste all over your face (avoiding the T-area). You can also apply it on your neck if you wish. Leave it for half an hour before rinsing off with lukewarm water. Repeat this method for steady improvements on your skin. French Green is the most versatile clay as its gentle on all skin types. So you can use it without worries. Blend 3 drops of tea tree oil with 1 tablespoon of organic jojoba oil. Now, to this blend, add finely chopped fresh tomatoes. Mash this mixture vigorously to make a fine, smooth paste. Apply this paste evenly on your clean face. Leave for at least 20 minutes before rinsing this paste off with lukewarm water. Jojoba oil, on its own, has tremendous anti-acne properties. Its paradoxical composition inhibits the skin from overproducing sebum, which eventually helps reducing your acne. So this is indeed an effective acne treatment. Take 2 tablespoons of extra virgin olive oil and add 3 drops of pure tea tree oil in it. Blend this mixture well and cleanse your face with it afterwards. 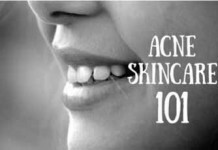 Repeat this method daily to get notable reduction in your acne. You have to be picky about the quality of oils you use. 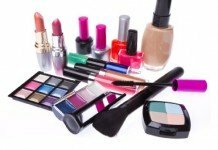 Low quality oils commonly contain additives that might adversely affect your skin. For this recipe, try to use superior quality olive oil, like the Spanish extra virgin olive oil. It contains excellent anti-oxidant, anti-bacterial, and anti-inflammatory properties that can help disinfecting your pores and dry out pimples. Essential oils like tea tree oil are highly concentrated and strong in their purest form. Before applying them directly on the skin, they need to be diluted with a special type of oils called carrier oils. Carrier oils perform the following functions: a) They decrease concentration of essential oils while not affecting their therapeutic properties. b) Help spreading a few drops of them all over your skin. c) Increase healing action of essential oils by adding their own properties. And in the last two recipes, we’ve used jojoba and olive as carrier oils. 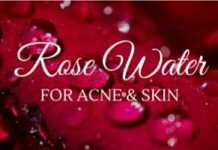 Both of them are among those rare carrier oils that are particularly effective for acne. You can learn more about carrier oils here. Do you wash your face regularly with a cleanser or moisturizer? If yes, adding tea tree oil to them will significantly improve their ability to fight acne. Take a trifle amount of your favorite cleanser or moisturizer in your palm. Add 2 drops of tea tree oil in it and gently mix with your finger. Now, apply this paste evenly on your face as you normally would. Gently massage it your face with soft hands. Don’t let it enter your eyes. After that, repeat this process regularly if it seems promising to you. Adding it to Your Bath: Just add 2-4 drops of tea tree oil to your bathtub to fight body acne. Apply it as a Spot Treatment: Soak a cotton swab in tea tree oil and apply to your body acne spots or let someone else do it for you. Repeat this method and you’ll see positive results pouring in. Besides these remedies, you should also make sure to gently wash your body if you’re suffering from body acne. Try not to use harsh bath sponges. Avoid synthetic, tight, and scratchy fabrics. 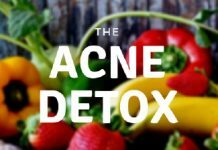 Because the more you irritate your body acne, the more it worsens and spreads. Take a bowl and add ½ cup of sugar, 1 tablespoon honey, and ¼ tablespoon of olive oil in it. You can also use sesame oil if you don’t have olive oil. Add 10 drops of tea tree oil in it and mix. Now gently scrub your face with this mixture for atleast 3 minutes. Rinse it off with lukewarm water afterwards. If there’s some scrub remaining, you can store it in an air tight jar and use at a later time. 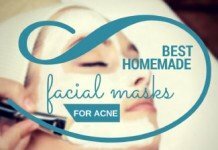 This is one of the most simple and effective tea tree oil acne masks you can create. Take one egg white and add 4 drops of 100% organic tea tree oil in it. Stir this mixture vigorously to make a smooth mask. Now apply this mask evenly on your face. Make sure your face is clean before doing so. Let it set for 20 minutes and then wash it off with lukewarm water. Although you should apply this mask repeatedly to get steady results, you shouldn’t do it more than once in a week. Mix 20-40 drops of witch hazel with 2-3 drops of tea tree oil. Soak a cotton swab in this mixture and apply it to your affected areas. Repeat this process once to twice a day for a week or two and you’ll see positive results pouring in. Be careful though. This method can be over drying for many. If you feel excessive drying, do not repeat this remedy. Vitamin E is renowned for its health benefits and skin-friendly nature. It aids an array of skin conditions including aging, light sensitivity, fine lines, and scarring. 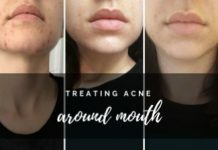 We’ll combine it with tea tree oil to make a spot treatment that not only eliminates your existing acne, but also fades hideous spots left behind it. Mix equal portions of vitamin E oil and tea tree oil. 5-10 Drops of each of these oils would be enough for one-time use. Soak a cotton swab in this combination and apply only to your affected areas. Avoid contact with eyes and the T-area of your face. That’s it. Now, sit back and watch your acne go away. Seriously annoying acne needs some serious treatment. And that is what this acne mask will do. Mix equal portions, half bottle cap, of both grape seed and jojoba oils in a small bowl. Add 2 drops of tea tree oil in it and mix gently. Now, apply this to your affected areas and leave for 20 minutes before rinsing off. Make sure to wash your face before applying this mask. Typically, the results show off within a day or two. By far the most effective and successful tea tree oil acne treatment available out there. This is basically the same organic 100% tea tree oil. But what sets it apart is its triple distillation process. Normally, all essential oils are one-time steam distilled. And it’s understood that the more you distill the oil, the more potent and pure it becomes. This is the most important fact behind the success and popularity of TreeActiv+. 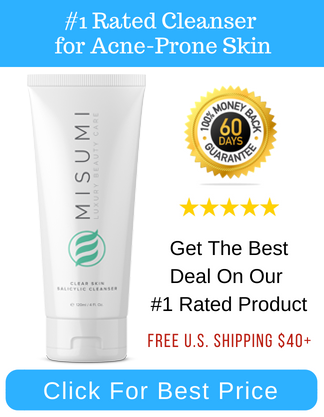 This highly popular spot treatment can effectively dry out your existing pimples by making use of ingredients like tea tree oil, honey, water, glycerin, and many others. It’s gentle, you can apply it directly on your blemishes as a spot treatment. This delicate little blemish gel from body shop can be conveniently held. Take it wherever you like and use whenever you want. An everyday moisturizer that makes use of essential properties of benzoyl peroxide and tea tree oil to clear up your pores, eliminate bacteria, and provide you with a clearer and smoother outlook. Aside from BP, all ingredients used in BPT 3.1 moisturizer are plant based. Even BP is used in its safest concentration in this product i.e. 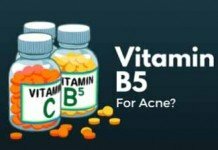 3-5%, which makes it a safe and effective treatment for your stubborn acne. Watch out if you’re allergic to tea tree oil, or any essential oil belonging to the eucalyptus family. Despite all the boundless benefits of it, Tea tree oil comes with this intimidating problem. Mr. Rutherford T, along with their other collaborators, at The Skin and Cancer Foundation (Australia) retrospectively analyzed the patch-test data of 2320 people over a period of four and a half year [source]. By the end of this study, they found a prevalence of 1.8% in allergic reactions to tea tree oil among those patients. More interestingly, the majority of these 1.8% people had used tea tree oil previously. This clearly indicates that continuous usage of tea tree oil might lead towards allergic reactions. So do apply tea tree oil on your pimples or spots, but don’t do it excessively. In a study published in New England Journal of Medicine in 2007, repeated usage of tea tree oil has been linked to abnormal breast enlargement in boys prior to puberty. The study revealed that tea tree oil had estrogenic and anti-androgenic properties. Estrogens are hormones that stimulate female breast tissue growth, and apparently these are the reason behind this condition caused by tea tree oil. On the other hand, the test results of an EU committee concluded that although tea tree oil possesses estrogen-like properties, no hormonal active ingredients of this oil can penetrate the skin. Therefore, the link between topical usage of tea tree oil and abnormal breast enlargement is implausible. In essence, you shouldn’t be worried if you’re just using tea tree oil topically – like I’m suggesting throughout this post. But you should be cautious if you’re using it with a different approach. Tea tree oil is toxic when taken internally. I don’t recommend internal use of any essential oil, and tea tree oil is no exception. Moreover, it is also very poisonous to cats. Their liver cannot process it and they can get seriously ill because as a result. There are dozens of horrible stories of pet kittens getting killed because of tea tree oil application. A friend living in Austin tried to cure his cat’s abscess by applying tea tree oil. As he was doing so, the cat frantically tried to get away from him. But he didn’t pay attention, and somehow managed to apply it. Within 15-20 minutes, the cat started to get very ill. He got seriously concerned. But thank God, he had the common sense not to repeat that tea tree oil abscess treatment. The cat got well again. He was shocked to know through his own research that how poisonous this oil was for cats. Had he not stopped applying tea tree oil on his cat, the story would’ve certainly met with a tragic end. Moral: Don’t let your cat to get even near to this oil. Whenever you apply tea tree oil on your skin, try not to go outdoors. This essential oil increases sensitively towards UV rays and can contribute to damage your skin [study]. Tea tree oil is essentially a very strong oil. You should be cautious if you suffer from eczema, or have a sensitive skin. But if you’re still convinced, do a patch test first. If you get a positive response, apply it after blending it with a carrier oil. It’s not uncommon to hear that tea tree oil can be an expensive option to treat acne. But really, there’s no reason why a single bottle won’t last for several months when you’re just using a few drops a day – as to let it work perfectly fine, you only need to apply it directly on the spots or pimples, not anywhere else. Remember the study from Royal Prince Alfred Hospital I shared earlier in this post? That same study also concluded that tea tree oil took more time than benzoyl peroxide to work initially. Patience is required when using tea tree oil as in all other acne treatments. It can take anywhere between a few days to several weeks to show the desired results. Tea tree oil is indeed an effective treatment for mild to moderate acne. Studies have proven it. Using 100% pure organic tea tree oil is the key to success. However, it is highly concentrated in this form. It should be diluted with either water, carrier oil, or something else (as your preferred recipe describes). Do a patch test if you’re going to use tea tree oil on your skin for the first time. And make sure you’re not allergic to it. 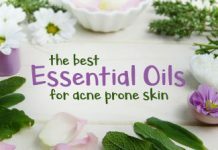 There are 15 handpicked, highly effective anti-acne tea tree oil recipes included in this blog post that you can refer to at any time. If you don’t bother making your own recipes, you can choose between these 3 highly effective a tea tree oil acne products I’ve shared. Try to be indoors after applying tea tree oil or a tea tree oil based product on your skin. It increases sun sensitivity and might adversely affect your skin. If you observe excessive dryness, itchiness, irritation, or redness after applying tea tree oil in any form, discontinue its usage. It might not just be suitable for you. If you think I’ve missed something, have a question related to this post, or want to share your own experience with tea tree oil, DO NOT hesitate to write that in the comments below. I’m counting on ya!